You Just Don’t Do That! I haven’t blogged in a week and some because I haven’t had the energy to think. These days my brain cells are overworked and dead half the time. Between Friday night and Saturday morning, I managed to revive enough brain cells to function at a wedding. On my way home, drunk on J2O (thanks RayRay) and devoid of sense…common and uncommon, I decided to explore the contents of a skip a couple of doors from my house. I’d noticed there were always people rummaging through it and recently discovered it’s owned by my local Cancer Research store. It’s where they dump unwanted donations. There was a cute buggy on top the heap of goodies but that’s useless to me so I craned my neck to get a better view of the stash. I felt and looked silly but kept on snooping, after all, old second hand equals vintage no?! Lol. I was busy trying not to fall into the skip when I heard a growl. I spun round to find a ferocious looking dog glaring at me. I am TERRIFIED of dogs. My heart began to beat triple time. I looked around but the owner was nowhere in sight. I started praying. The dog growled. You should have seen the size of its teeth. God, what have I done wrong? Have I offended any dogs? I remembered a dog I poured hot water on when I was nine years old. As I reached down to take off my shoes, ready to run, it started barking furiously. I gauged the distance from the skip to my front door but considering I’d have to fumble around trying to open it, the odds of out running the dog were slim. I didn’t want to cry but I could feel the tears welling up. In an attempt to silence the panic, I started humming. Since I was born, hmn hmn hmn, I have never seen the Lord changeth…no no no no…I have never seen the Lord changeth! The panic kept rising. I was ready to start screaming when I heard a shout. Midget osi wo ni?! You should have seen the size of the dog, it was taller than my friend Mina! As soon as the dog was under control, I found my voice. After delivering one last, ‘you just don’t do that!’ to the ownerI hurried to my front door and let myself in. I mean, you just don’t do that! ← Somebody Find Me A Step Daddy! Omigosh! That sound you just heard was me FALLING OUT of my seat laughing hahahaha!! LOVES it! Good that you found ya voice and scampered for safety AFTER the dog owner held on to lil “Midget” LOL! I am sure Mina would really love you comparing her to a dog…. I equally hate dogs. I had to rescue a fallen man once and his scary big dog almost made me change my mind. Na DOG you dey fear!!! I could have sworn that God (according to the good book) gave you DOMINION OVER all things not human!!! If a dog bites you, BITE IT BACK!!! Oh my goodness! I’m glad you’re okay. i’m still stuck on you scavenging in cancer research’s skip…..as in really….worraheck!!!!!!! 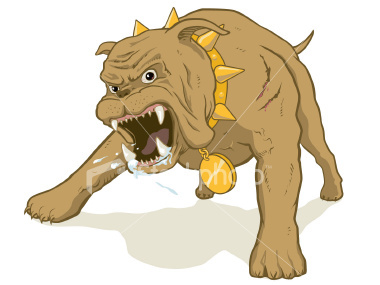 LOL….my dear the song saved you….after all the Lord in His unchanging ways dint allow the dog bite u…LOL! !..but try not to scavenge next time…u might have been on the dogs tuff…lol! !